In Trump’s campaign there is a mix of both nostalgia and optimism, which bookend serious critiques of America’s more recent past and the legacy of his political opponents in particular. This approach is appealing to an important, and often overlooked segment of the American public. These are the new voters who Trump has promised to bring to the GOP, and who have sometimes embraced his campaign with a kind of religious fervor. But the broader appeal of this vision is dubious. Trump’s larger economic vision certainly does bear some resemblance to Bernie Sanders’ agenda, as they emphasize nationalism, interventionist trade policy, and a revitalization of traditional manufacturing and labor sectors. It remains to be seen how many of Sanders’ supporters will migrate to the similarly nationalist approach of Donald Trump. The real challenge for Trump is to express this hopeful vision about the future while simultaneously hearkening back to an idyllic past. If Clinton is “the candidate of the past,” it is the recent past, the last few decades of the Obama administration and bad trade deals like NAFTA. Trump, meanwhile, is both the candidate of the future as well as of the more remote, perhaps even mythic past, in which America was first: in jobs, manufacturing, global influence, leadership, and military strength. As Trump put it in his Detroit speech, “Americanism, not globalism, will be our new credo.” Joseph Sunde pointed out the salient Christian critique of such a credo recently, and I also recommend Abraham Kuyper’s treatise Twofold Fatherland for a proper and penultimate valuation of the nation-state and national identity relative to Christian citizenship in God’s kingdom. 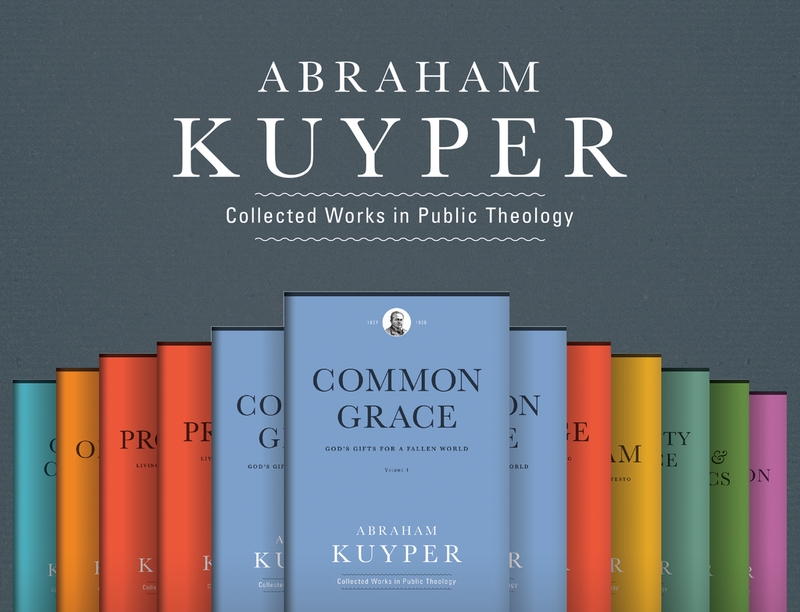 Twofold Fatherland is included in the forthcoming On the Church volume of the Abraham Kuyper Collected Works in Public Theology. A recent ad from Trump’s opponent Hillary Clinton inadvertently teaches us a better lesson about how the golden rule ought to inform our considerations of international trade. Trump, for all his America First bravado, has not operated consistently with that credo as a businessman. Indeed, people the world over have to work, and to do so most effectively they need to be able to exchange goods and services with others, not only within their own national borders but all over the globe. And it isn’t just factory workers in Bangladesh that are made better off in such a system. American shoppers at Macy’s can get shirts that they can afford, with the Trump label on them that they so desire. The look of chagrin on Trump’s face at the end of the ad is an admission that “they have to work, too” is an honest assessment of one of the real merits of global trade. It may not be politically expedient for him to acknowledge it in his campaign speeches, but Trump surely knows it to be true. Trump, Clinton, or any other presidential candidate should acknowledge how the economy has developed and recognize that the successful way forward is for government policy to catalyze the potential dynamism of entrepreneurs and take a posture of openness and reciprocity towards other nations.